Detail from “The Dishonest” (Les prevaricators; 1960). 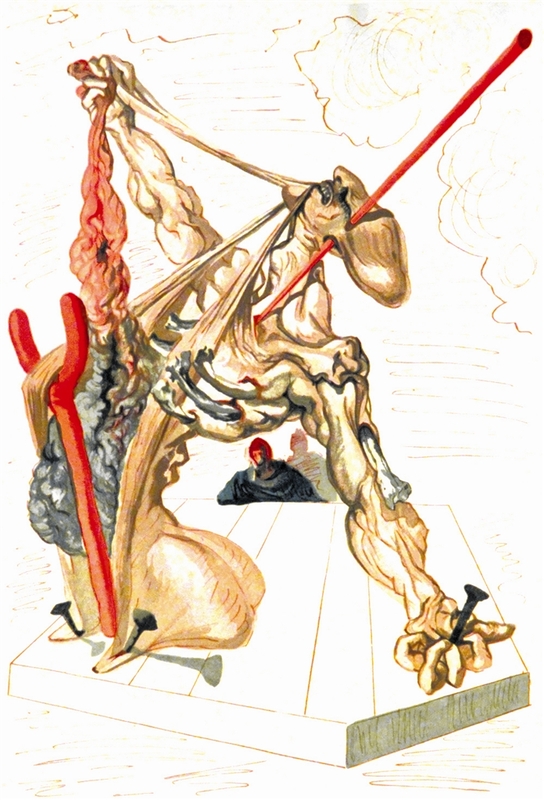 From “Divine Comedy—Inferno 22,” Salvador Dalí. Salvador Dalí is one of the most famous artists of the 20th century. Now you have the opportunity to collect works from the internationally renowned Surrealist in our newest Fall Sale Collection. 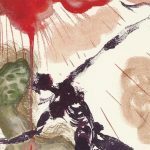 For an extremely limited time, Park West Gallery is offering a series of graphic works by Dalí—24 engravings Dalí created to illustrate “The Divine Comedy” by Dante Alighieri. 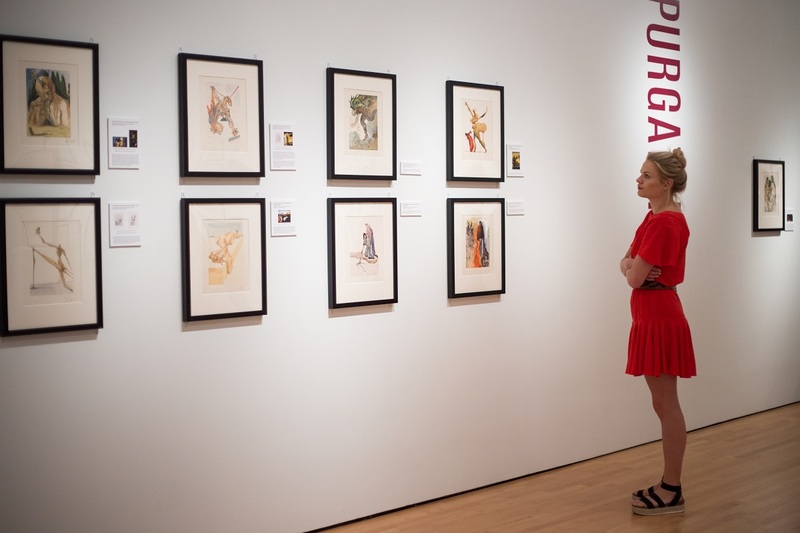 “Park West is excited to offer original graphic works by Salvador Dalí, a collection we have actively acquired and archived during our 50-year history,” says Park West Gallery Director David Gorman. You can view the full collection here. Dante’s epic poem follows the author’s journey through the various realms of the afterlife. The poem is split into three sections: Hell (Inferno), Purgatory, and Heaven (Paradise). 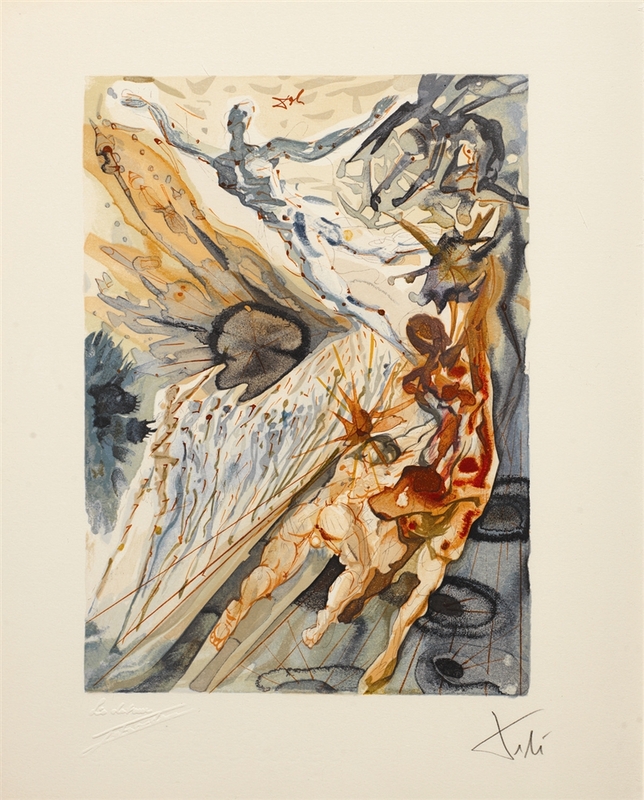 Our limited-time sale offers eight trilogies of engravings taken from each of these sections, all showcasing Dalí’s legendary talent and unmatched artistic vision. This sale is a special three-week-only promotion, so Dalí fans need to act fast. As an added bonus, every purchase of a “Divine Comedy” engraving, collectors will also receive a free copy of the book “Dalí—Illustrator.” Written by Dalí expert Eduard Fornés with a foreword by Daniel David, the director of Les Heures Claires, this book is the comprehensive history of Dalí’s illustrative works. 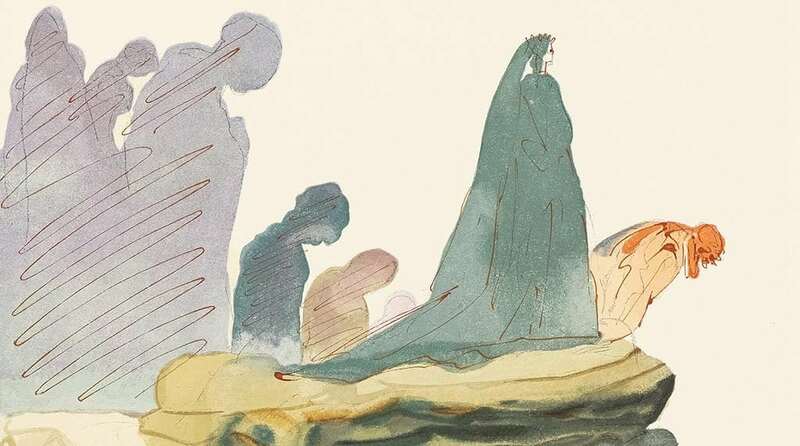 “The Divine Comedy” stands as one of Dalí’s greatest achievements in illustration. 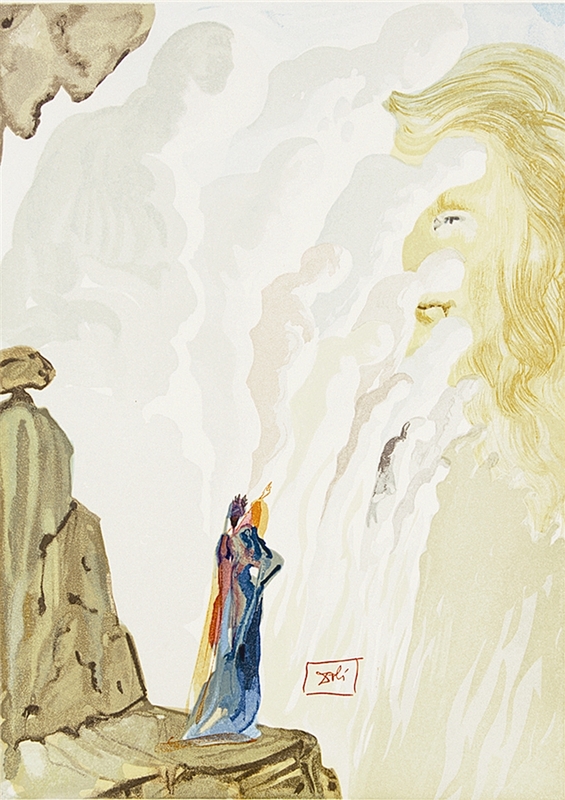 Between 1951 and 1960, Dalí created 100 watercolors bringing Dante’s famous poem to life. From 1960 to 1963, Dalí worked directly with Les Heures Claires, supervising and approving the creation of engravings based on his paintings. Dalí’s attention to detail was meticulous—he personally approved more than 3,000 woodblocks used for the engravings. It will be at Louisiana’s Hilliard University Art Museum until January 2019 and will tour the United States through 2021. Exhibitions like these are shedding new light on Dalí’s illustrative career and often-overlooked publishing projects. If you’ve ever wanted to collect a work by a master like Dalí, now is the perfect time. For more information on the art of Salvador Dalí, contact our gallery consultants at (800) 521-9654 ext. 4 or at sales@parkwestgallery.com after hours. Hello Robert! Our gallery consultants will be in touch with you soon regarding Dali’s artwork. Also interested in the price range. Hi! Our gallery team will be reaching out to you soon with the information you requested. Thank you! Very interested in purchasing… please email details regarding pricing and purchasing info. Please let me know pricing for Dali. I would also live to know the pricing for the Dali works. Thanks! Hello! One of our gallery consultants will be contacting you shortly! Thank you Tyler! One of our gallery consultants will be in contact with you soon. Hi! A gallery consultant will be contacting you in the near future! Thank you! We’ve provided your information to our gallery consultants, so they will be in touch with you soon. Please contact me in regards to price range. Thank you for your interest Mark. One of our gallery consultants will be in touch with you soon. I am interested in pricing. Please send information. Thank you! Hello Sal! We’ve passed your request for pricing along to our gallery consultants, so someone will be in touch with you soon. i am interested in Dali, please provide prices. Thank you for your interest! We will have one of our gallery consultants contact you soon about pricing information. I would be interested in learning what the pricing would be on these as well. Hello! One of our gallery team members will be contacting you soon! Hi! One of our gallery associates will be contacting you shortly! Would like information on pricing for Dalí. One of our gallery associates will be contacting you soon! I would like pricing information on the Dalí Devine Comedy Series. Hi Greg! A gallery consultant will be in touch with you soon to provide pricing information for the Dali collection. Very interested in this collection. Please send details and pricing. Thank you. One of our gallery consultants will be contacting you soon Mary. Thank you! Thank you Joy, we have provided your request to our gallery consultants so someone will be in touch with you soon! Thank you Terry, our gallery consultants will be contacting you soon regarding Dali pricing and availability. Hi l might take a trip to where they hold a US Tour to see Dali’s work and talk to a few people. Very interested in the Salvador Dali Fall sale collection. Please provide pricing. Thank you for your interest Mark! Our gallery consultants will be in touch with you soon regarding Dali art. Thank you Richard! We will have our gallery consultants contact you with pricing information. I been trying to find out the starting prices on Salvador Dalí Divina Comedia works, any help be greatly appreciated. Thank you. No problem! We will have our gallery consultants contact you and provide pricing information. Thank you Christine, our gallery consultants will be in touch with you soon! I have 3 pieces of the serie The Divine Comedy, is it possible to have the price of other piece ? Someone from our gallery team should be contacting you soon. 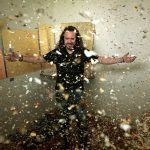 Pricing on Dali works, please. Thanks for your interest. A gallery consultant will be contacting you soon. What is the price range. A member of our gallery team will be contacting you shortly. Someone from our gallery team will be contacting you soon! Very interested in pricing. Please contact me. Hi! A gallery consultant will be contacting you soon! Thank you for your interest in Dali’s art, Kathy! A gallery consultant will contact you soon to provide you with some quotes.